Surface tension is the convenient mechanism for synthesis of round graphite shells less than ~5 millimeters wide. The template for such round shells can be the exterior of a molten metal droplet, as shown in optical images of a typical synthesis procedure. 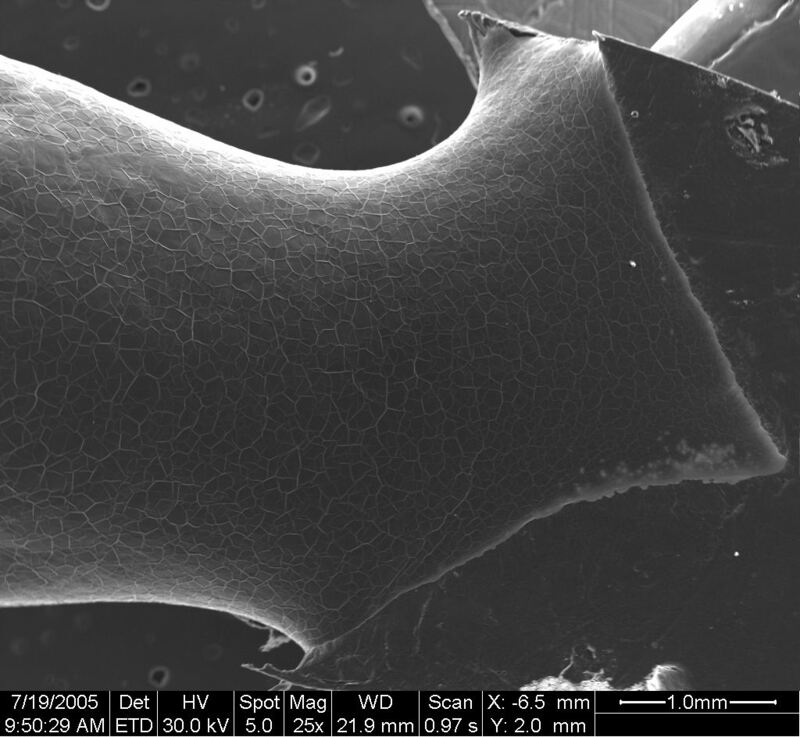 Concave melt surfaces also work, as shown by numerous graphite bubbles produced by splat cooling. Where large or electrostatically stressed samples begin to tear away from their supports, the origami graphite shells have areas of non-spherical curvature, as shown in this micrograph.